David Maguire is Founder and Director of BNRG Renewables, which he set up in 2007 as a renewable energy development company specialising in utility scale solar PV projects. In a very short period the company has developed and constructed a significant portfolio of projects and has operations in seven countries across three continents. To date, the company has delivered over a significant portfolio of projects and has operations in seven different countries across €170 million worth of operational assets. An environmental scientist by profession, David has over 20 years' experience in the environmental and renewable energy sectors. He is Chairman of opportunity for Northern Ireland to look beyond wind and to the Irish Solar Energy Association. Sandie Madden is an Engineering Manager for ESB Networks with almost 15 years’ experience working in the power industry. ESB Networks are the licensed operators of the electricity distribution system in the Republic of Ireland and are responsible for building, operating, maintaining and developing the electricity network and serving all electricity customers across the country. With the introduction of EU renewable energy targets for 2020, ESB Networks stepped up to the challenge of the unprecedented level of connection applications for renewable energy projects by setting up a dedicated team of specialists in its Renewable Planning team. Working in Renewable Planning, Sandie is responsible for processing renewable energy connection applications according to strict rules governed by the Commission for Energy Regulation (CER) from initial contact by the customer right through to energisation. Sandie graduated from the University of Limerick with a Bachelor of Mechanical Engineering. Previous roles with ESB Networks have included Network Investment Planning, Strategy, Regulation and Project Management on both CAPEX and Planned Maintenance Programmes and externally as a Design Engineer with manufacturing company Hormann Electronics/APW. Claire leads the AES Corporation’s work with stakeholders on regulatory policy and external affairs in the UK and Ireland. She is currently primarily engaged on the acceleration of energy storage in GB and the island of Ireland. Claire initially joined AES’ onshore wind development team, and moved into her current role in 2014. Prior to joining AES, Claire spent eight years working for environmental NGOs in a range of policy and strategy roles. Nick has been with Lightsource Renewable Energy since its inception in 2010, helping the company grow into Europe’s leading solar energy company with an operational portfolio of 1.7GW – enough to power more than 400,000 households. With extensive engineering, project management and development experience; Nick has been directly responsible for the implementation of ground-mount and rooftop solar photovoltaic (PV) projects from site feasibility through to financial close and construction. Liam O’Dwyer has 10 years’ experience in the construction and building services industries having previously worked for engineering consultancies in Ireland & Australia and Mechanical Contractors in Ireland, Australia & America. Liam has extensive experience in building services design and project management, building performance & the built environment, maintenance and compliance, and building & plant modernisation. He also has considerable experience working in existing builds, upgrading existing building services systems to improve performance outcomes. Since joining the Tipperary Energy Agency he has worked in the Building Services/Energy section. His areas of expertise include building services energy efficient design, sustainable energy systems design, tendering & project management, public sector energy management and energy analysis, energy audits, building services condition audits and building regulations Part L compliance. He has completed projects in a broad range of industry sectors and has gained an in-depth knowledge of the regulated industry and associated standards. 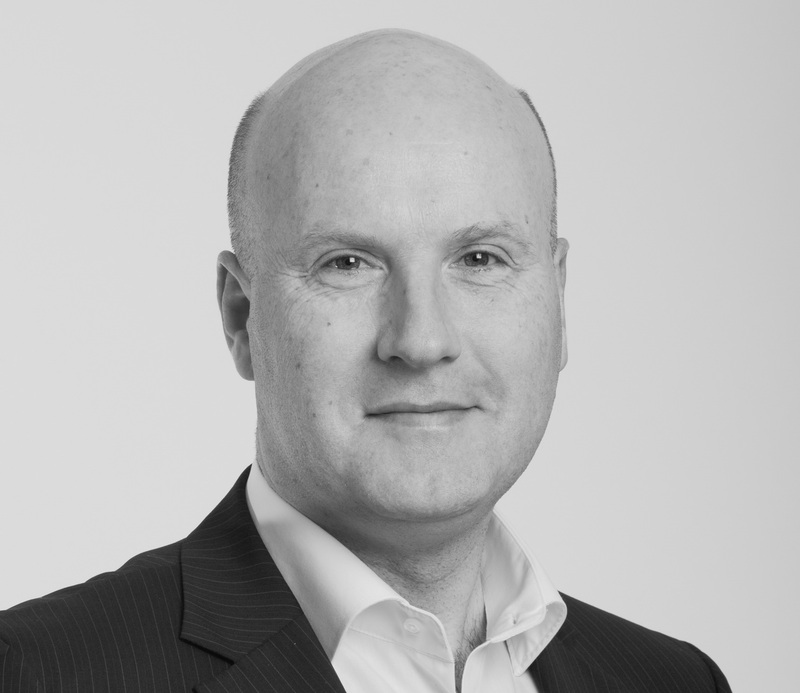 Rory Mullan is a senior consultant and director of MullanGrid Consulting. A qualified Electrical Engineer, Rory has worked in the Irish Electricity Industry for over 18 years in various commercial and technical roles in utility and consultancy sectors. Rory is also a member of the IWEA council and the IWEA, NIRIG & ISEA Grid Committees. Brian is the Environmental Director of McCarthy Keville O'Sullivan (MKO), a 30-person, Galway-based planning and environmental consultancy with renewable energy as a main specialism. Brian is an environmental scientist by profession, having graduated from NUI Galway, and has over 15 years' experience in professional consultancy, particularly in large-scale energy infrastructure projects. Having worked on over 1GW of on-shore wind projects and associated transmission infrastructure over the last decade, this extensive renewables experience has been shared across the solar energy projects the company has been bringing through the Irish planning process over the last 18 months. Brian is an Account Executive in the Willis Towers Watson Cork office, and the leader of the Regional Renewable Energy Team. Brian is also the Irish representative on the Willis Towers Watson Global Renewable Energy Practice which is based in London. Brian has over 20 years’ experience in the industry dealing with Commercial Insurance solutions across a number of sectors. Willis Towers Watson clients include 6 out of the top 8 solar funds in the UK and they have placed insurance solutions for 3GW of solar projects to date representing 70 percent market share. Willis Towers Watson are members of ISEA and IWEA. Brian is a former President of the Insurance Institute of Cork and a member of the National Council of the Insurance Institute of Ireland. Danny will guide you through the key glint and glare planning issues for solar PV in Ireland, sharing the knowledge gained through three years of glint and glare assessment experience. Glint and glare is now a key planning consideration however there is little established guidance, Danny will therefore introduce the Glint and Glare Guidance document, produced by Pager Power, predominately aimed at large scale commercial solar development. The guidance puts forward a recommended methodology for assessing the impact of glint and glare upon road users, dwellings, rail infrastructure and aviation activity. Danny has over 5 years’ experience as a Technical Analyst at Pager Power, whose key role is to research and write technical reports to support planning applications for energy and large infrastructure projects. Danny has competed technical reports which have removed planning objections and satisfied planning conditions relating to glint and glare, radar and telecommunications communication issues. Having completed over 160 individual glint and glare assessments in Ireland, the UK and internationally, Danny is in a very good position to disseminate key information regarding glint and glare planning issues. Danny contributed to the 2016 Solar Trade Association’s Summary of Evidence regarding photovoltaic glint and glare and was the lead author of Pager Power’s Glint and Glare Guidance. Everoze will draw together technical lessons learned from our experience conducting technical due diligence and operational monitoring in the UK and French solar PV markets. This will be applied to the Irish context, drawing on our PV experience in Northern Ireland and the broader Irish wind market. The presentation will highlight key risks to project delivery, aiding a smooth roll out of Irish PV. Over the last decade Christophe has gained both a broad and deep understanding of the technical and commercial realities of solar PV projects, combined with practical experience of project construction and operation. He is equally at ease advising at a strategic level as he is drilling into the details of on-site technical issues. Solar PV is not new in Ireland. However, by the end of 2015 there was only 2.6MW of Solar PV approximately in the Republic of Ireland made up almost exclusively from non-grid connected rooftops, both domestic and industrial. Growth of interest in grid connected utility scale solar only dates back to February 2015. Before then there were no grid applications for solar PV. Since then it has grown to over 500 applications, about 130 planning applicants and several consents. The distribution of the applications is strongly correlated to both solar insolation and grid location.